Do You have a Forklift or a Loading Dock? I have verified that all options for my purchased item are correct to my knowledge and that I will be contacted directly by Zip Metals to make any necessary changes before shipment. By adding this item to the shopping cart, I agree. Zinc sheet is Sold by the linear foot: 36" wide by any length you need, in one foot increments. Great for countertops, range hoods, Back Splashes, Table tops and more! Ships flat on a pallet via motor freight. 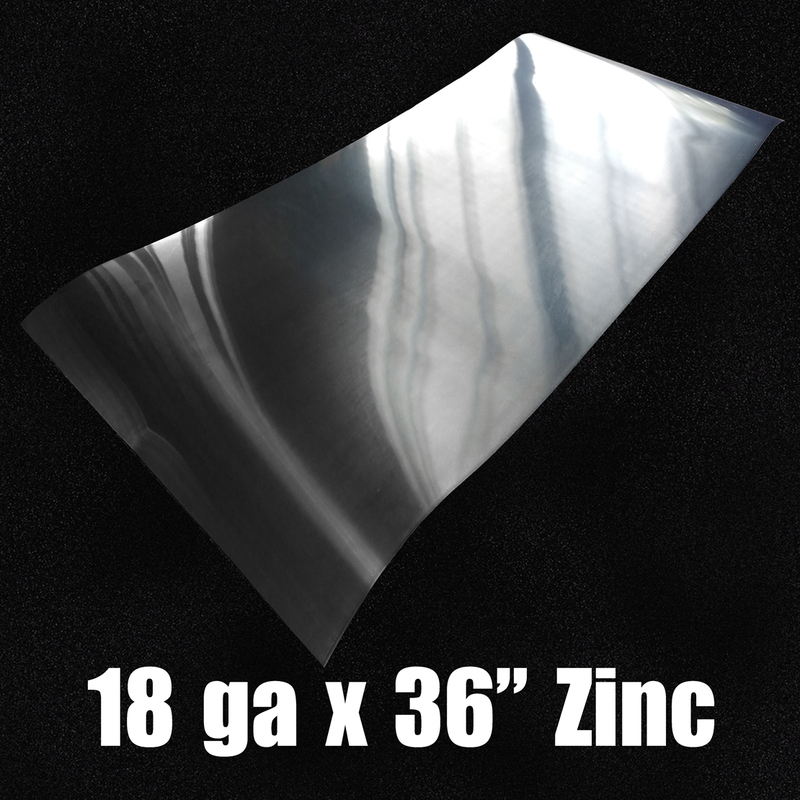 18 gauge (0.040") Zinc Sheet is durable and will stand the test of time. Cuts with tin snips or a metal cutting shear. 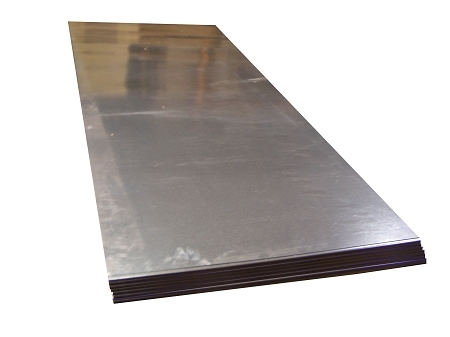 18 Gauge (36" Wide) Zinc Sheets weigh roughly 5.5 lbs per linear foot. Though we ship our sheet with the upmost care they are subject to some edge curling while in transit. Curling is usually limited to the edges. This is not usually covered by UPS therefore we like to warn you to get a little wider sheet than you need to allow for this to possibly occur. Some light surface marks/scratches may appear in the zinc, these are easily removed using a scotchbright pad or 0000 steel wool.